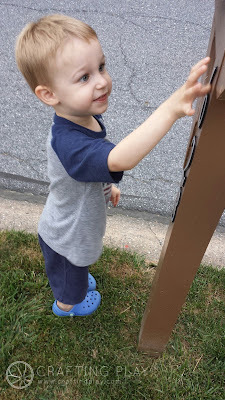 When we go for walks around the neighborhood, one of Ethan's favorite things to do is to look for house numbers on mailboxes. We stop by each and every one and practice reading the numbers. 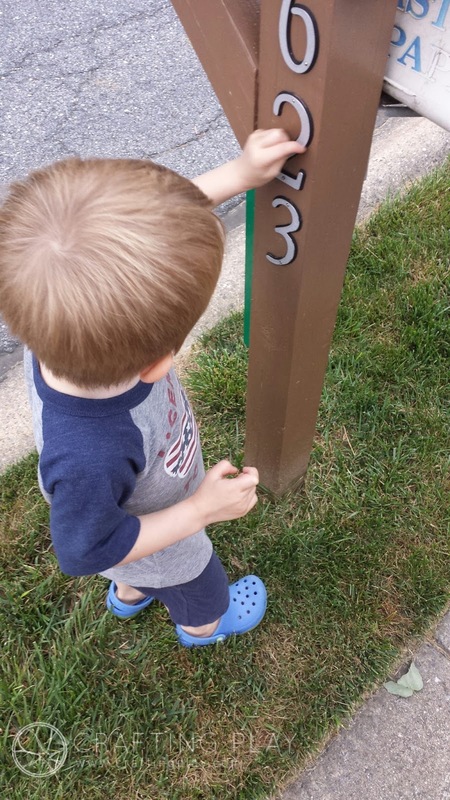 It's been a great way to learn to recognize and reinforce his numbers. And frankly, it's a good opportunity to be outside! Follow up with a great counting book like The Waterhole by Graeme Base (a favorite book around our house) and you've got quite the evening cut out for you!